The anti climb fence is a standard fence,Manufactured using 4mm wire welded at each interection creating a strong and durable panel,the mesh aperture consists of a 76.2 x12.7mm mesh spacing providing ultimate protecing against climbing and cut-throughwith excellent see through visibillity! but now some client customized the specification according the his requrement,consider the cost and safety. 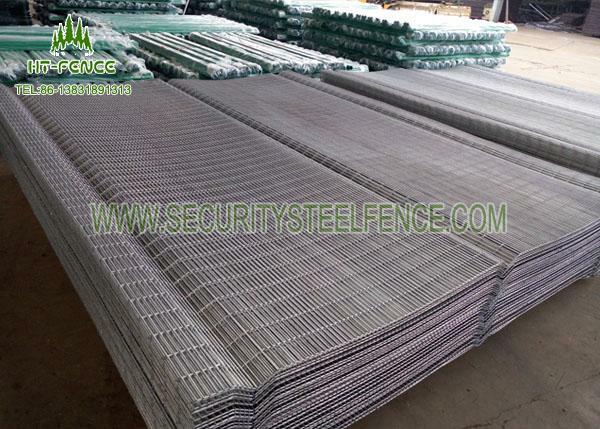 2.Hot Dipped Galvanized:It means,the panel use the black wire welded,after fabricated,whole panel hot dipped galvanized finsihed,and the post use the black tube,after fabricated,whole hot dipped galvanized finished,this type fence zinc coating can reached 450g-600g per square meter,has good anti rust ability,can reached at least 15-20years in general environment. 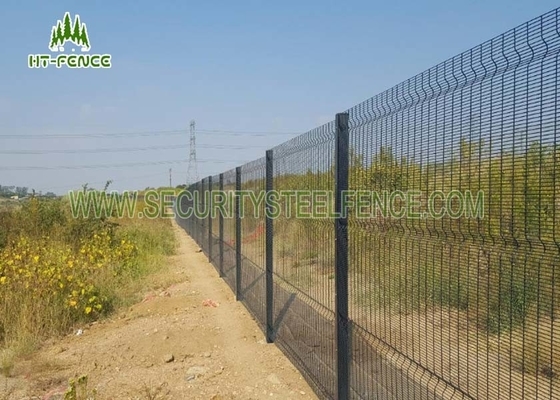 3.Hot dipped galvanized + powder coating:It means the panel use the black wire welded,then whole hot dipped galvanized,then powder coating finsihed,the post same way to do.Use this way,the fence anti rust life can reached at 20-25years in general environment. 1. it has rubber mat at the bottom of the pallet to avoid the pallet destroyed the panels. 2. it has 4 metal corners to keep the pallet more strong. 3. it has metal plate under the plastic bandage to reduce the apressure of fence panels. 4. wooden plate on top which can protect the fence panels avoid being crushed by other pallets.